We wanted to answer the question is it safe to detox while having liver cancer and provide some clarity on this subject. The answer is yes, it is safe to detoxify while having a tumor in your liver. We will explain here from several different angles for your benefit. Number one, the reason the cancer forms is from an accumulation of toxins. That accumulation of toxins sends in certain signals and blocks other signals. The cells are responding to their immediate environment or epigeneitcs. Now, if the epigenetics of a cell are mostly toxins or a lot of toxins or enough toxins then they actually can damage different parts of the cell. The most vulunerable part of a cell of the mitochrondria because they have oxygen and oxidative by products so they are easily destroyed and have to be replaced. They can replace themselves on their own. They don’t need the nucleus with it’s DNA, they actually have their own DNA. When enough of these mitochrondia have been damaged then the cell goes into a default mode of energy production called fermentation. In this chronic fermentative state then signals the nucleus to produce genes which we call oncogenes. This is a metabolic process. It’s driven by the metabolism of the cell which is a response of the environment around it. Clearly, what needs to be done to reverse this process is to change the water in the aquarium or the immediate environment. This process is called detoxification. The beauty of detoxification is it’s not something you do, it’s something that happens. It’s happening all the time. Our cells are continually cleaning house. They are producing and performing a function and cleaning house. What people need to do to reverse this is to stop retoxing or putting known toxins in their body. When you stop putting toxins in your body, it will naturally detoxify itself. Can detoxification at any time become a problem? A person could be releasing toxins into the blood and maybe at a volume that would cause one to be sick. Yes, it could become a problem especially for people who are extremely toxic and obese versus someone who is not. This needs to be closely looked after and managed. One of the important things to do during this process it to make sure you are cleaning out your system as best you can while you are detoxing. Cleaning the colon and drinking enough fluids so that your kidneys are being flushed. Getting moderate exercise and adequate rest at the appropriate times. Having lymphatic work done consistently on your body so you are flushing toxins out through your entire lymnphatic system. 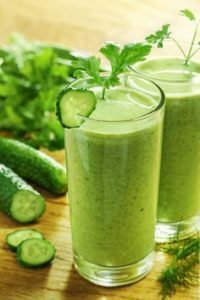 There is a lot of work that goes into detoxing and this process should be managed by a healing center that knows the detoxification process inside and out. So, isit safe to detox while having liver cancer, yes, absolutely it is. More importantly detoxification should and must be done with liver cancer as well as all cancers. Detoxification is part of our comprehensive cancer care program and it is vital to changing the environment in the body to one that is conducive for health restoration.